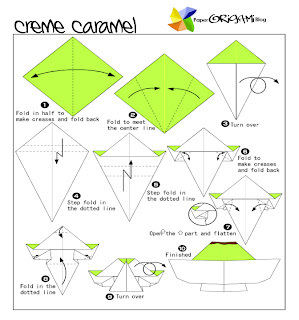 Crème caramel (kʁɛm kɑʀɑ'mel), flan (flɑn), or caramel custard is a custard dessert with a layer of soft caramel on top, as opposed to crème brûlée, which is custard with a hard caramel top. The dish is eaten throughout the world. 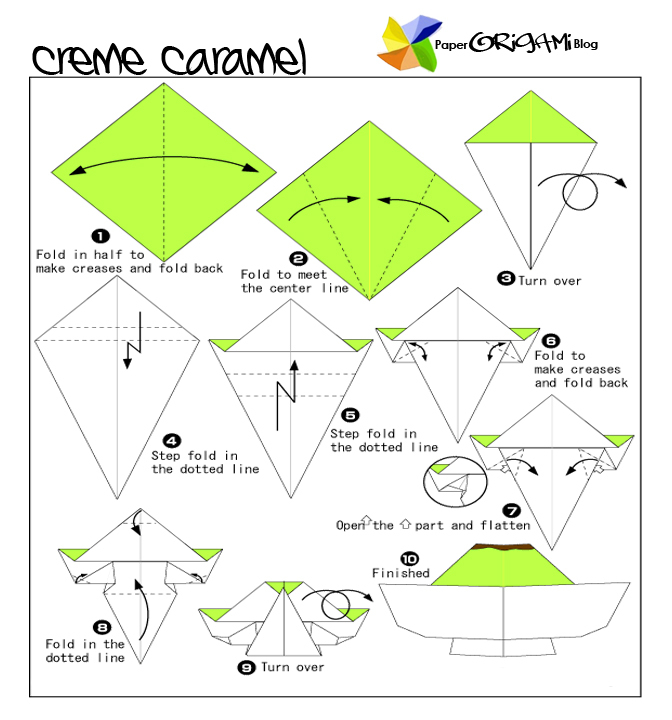 In origami here's how to do it.